Mazda is planning to add some voltage to its lineup. The Japanese company said Friday it will ramp up production of greener vehicles in the coming years, and sometime between 2030 and 2035 most of its cars will be powered by electric or hybrid motors. "The majority of cars will feature electric drive technology, in combination with (a) combustion engine," Mazda (MZDAF) spokeswoman Nao Nohmi told CNNMoney. More immediately, the company will add a hybrid vehicle to its lineup and introduce a battery-driven car by 2019. Countries like China, India, France and Britain have set aggressive goals to phase out gasoline and diesel cars, pushing the rest of the world towards more eco-friendly vehicles. But Mazda is not abandoning gasoline and diesel engines altogether, according to Nohmi. "We still believe that we will need the combustion engine in the future," she said. Earlier this year, the company unveiled a highly-efficient combustion engine that combines gasoline with diesel-like technology. It plans to incorporate it into cars by 2019. Other global carmakers have announced a shift away from the internal combustion engine. Swedish automaker Volvo said in July that it is fully embracing electric and hybrid production, saying the move marked "the end of the solely combustion engine-powered car." Tinkering with traditional technology could pay off for Mazda. 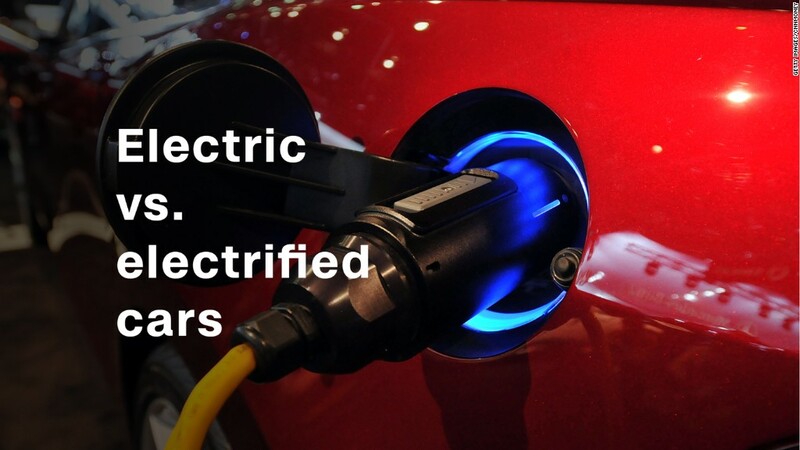 Consumers have so far shown limited interest in electric and hybrid cars, despite the fact that automakers are offering more and more of them. Electrified vehicles of all kinds currently make up only about 3% of all cars sold worldwide, according to data from IHS Markit, although sales are growing fast from that low base.